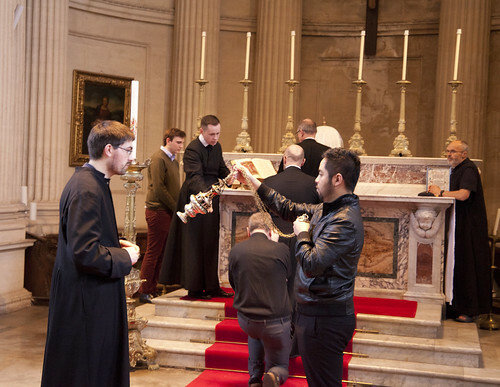 In light of the latest news about clerical celibacy, I thought I'd repost this from March 2013, with a new photo. I hope to write something about the Alfie Evans affair soon. Dr Edward Peters, the well-known canonist, explains what he means by a 'crisis of celibacy' in a post which is well worth reading in full. 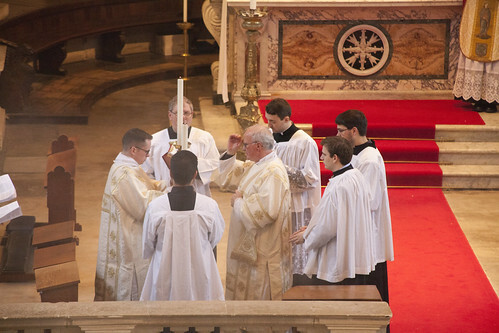 [T]he last four decades have seen, I suggest, a steady retreat from defending that value in canon law and pastoral practice—married clergy now outnumber celibate clergy in many arch/dioceses, thousands of married ministers have recently come into full communion with Rome and been ordained priests, the observance of clerical continence has been abandoned in the West, and the quasi-decriminalization of attempted clerical marriage itself (as opposed to remaining in pseudo-marriage) has been accomplished. Any one of these developments would have been portentous; but that they have occurred simultaneously is, I suggest, undeniable evidence that clerical celibacy is in crisis. 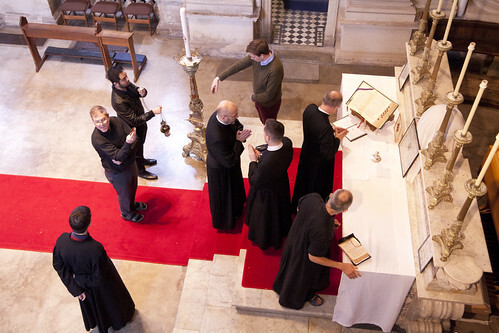 The Guild of St Clare had a hugely over-subscribed 'Sewing Retreat' near Oxford for the second year running, so for the future two are planned: one at roughly the same time of year in 2019 and the same vanue, near Oxford, and one for this autumn in a new venue, Douai Abbey, which is between Reading and Newbury. 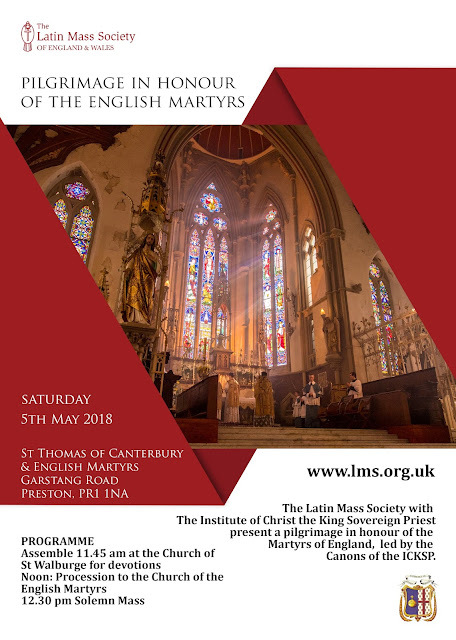 Booking for both is open on the Latin Mass Society website. Last Saturday the Guild had its first Vestment Mending Day in the LMS Office, where most of the LMS vestment collection is held. There will be another on May 12th; email the Guild if you'd be interested in taking part (places are limited). 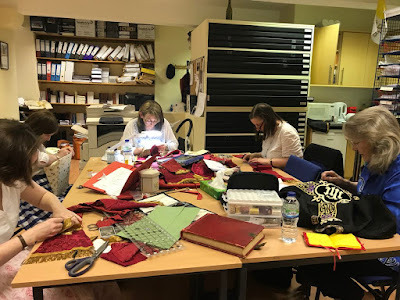 Bookings are now open for both forthcoming Sewing Retreats. Registration for the one at Douai Abbey, taking place from 23rd-25th November 2018, can be completed here. For the retreat at Boars Hill, 1st-3rd February 2019, book here. Places are limited on both these retreats: please don't delay if you are keen to come. Fr Philip Pennington Harris, Parish Priest of the Church of the English Martyrs in Didcot, is celebrating his parish's Patronal Feast on Friday 4th May with a Traditional Missa Cantata. 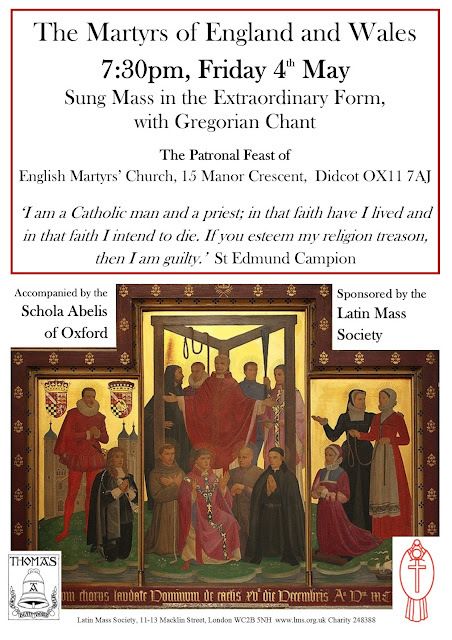 It will be accompanied by the Schola Abelis of Oxford. Join us! The church is at 15 Manor Crescent, Didcot OX11 7AJ (click for a map). Another characteristic feature of these conferences are the private Masses. 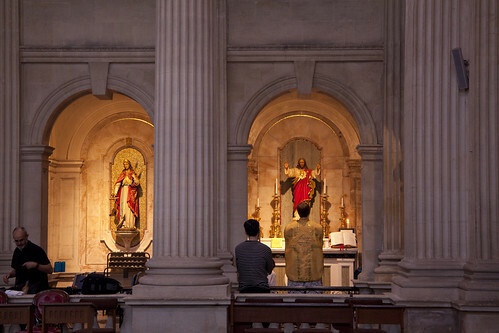 This time I was able to see not only private Masses before breakfast with one server, but others celebrated as a demonstration to priest participants. 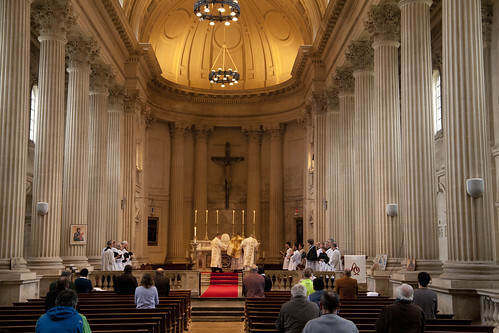 We are very fortunate in this venue, Prior Park, since in addition to the High Altar there are four beautiful side-altars. Once upon a time, these would have been used daily by the priests teaching in the school. Today, it is wonderful to see them being used simultaneously as originally intended. I was able to attend the LMS Priest Training Conference for its final two days, on Wednesday and Thursday. 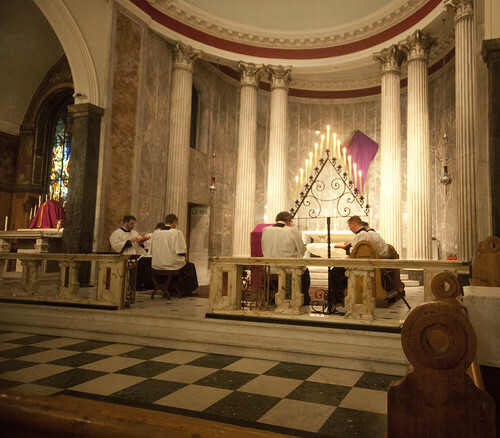 In this post are photographs of the two High Masses of those days, celebrated respectively by Fr Thomas Cahill and Fr James Mawdsley FSSP. Prior Park is an independent Catholic boarding school (on holiday last week). The splendid chapel, dedicated to Our Lady of the Snows, was built by Bishop Baines in 1830, when the site was intended to be a seminary. Here's the feature article of mine published by the Catholic Herald last weekend. It's not on the website. In the 1973 film Catholics, Martin Sheen—playing a Jesuit come to bring a remote Traditionalist monastery to heel—informs the abbot that Vatican IV has forbidden the Latin Mass and the Sacrament of Confession, except for mortal sins. Author Brian Moore’s dystopian vision has not come to pass, and one reason to doubt that it ever will is that if a future Pope wished to call a General Council, let alone two, the assembled bishops would not be able to communicate with each other. Unlike in 1962, when the Second Vatican Council opened, they do not have a common language. 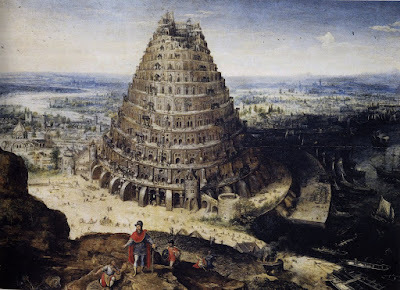 Pope Benedict called Latin ‘the language of the Church’. Evelyn Waugh imagined a Catholic British army officer arranging a Requiem Mass for his wife, killed in the Blitz, in a foreign country with a local priest, in Latin: there being no other common language. C.S. Lewis conducted an extended correspondence with an Italian priest, now canonised, St Giovanni Calabria, in Latin, for the same reason. 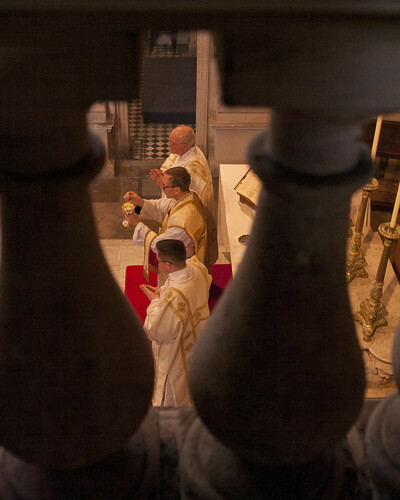 By the time of Vatican II fluency in Latin among prelates could no longer be taken for granted, and a lot of work was done by experts to compose speeches and brief bishops about the significance of debates. At least, in the 1960s, hundreds of such experts existed. Today, they do not. 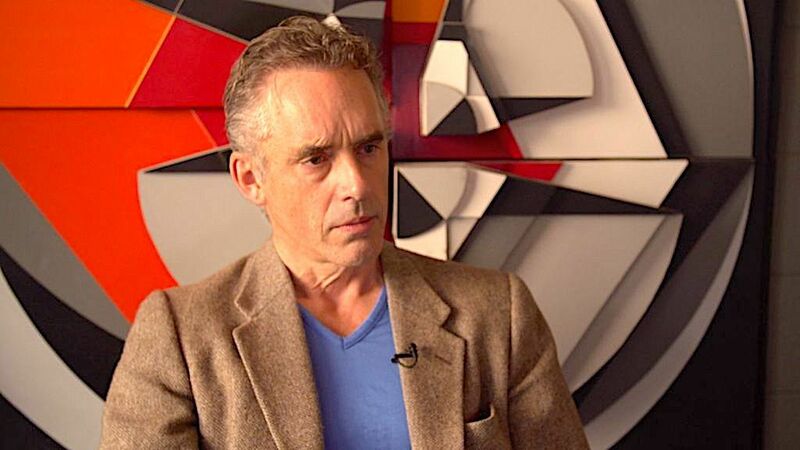 My favourite Anglican theologian, Alastair Roberts, has written in some detail on Jordan Peterson, and in order to get to grips with his thought from a Christian perspective I recommend reading this post of his at least. For the benefit of my own readers--and, as often on this blog, to clarify my own thinking--I want to take a different approach, and say something reasonably brief on why Catholics should welcome, in part, and disagree, in part, with the Peterson phenomenon. For it is indeed, a phenomenon. Sometimes these things are shortlived but Peterson is, at least by social media standards, an intellectual heavyweight, which I think will give him greater staying power. In any case, he is influencing a lot of people, and I think that over the next decade we will increasingly encounter young people, particularly men, who have been influenced by him. It's really that which motivates me to write. So what is it all about? 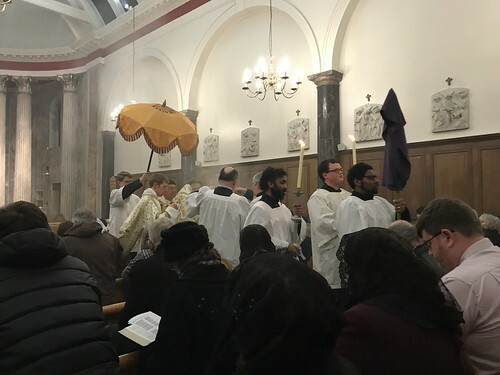 The St Catherine's Trust annual Family Retreat took place last weekend, led by two priests of the Institute of Christ the King Sovereign Priest, Canon Amaury Montjeand and Canon Scott Tanner. 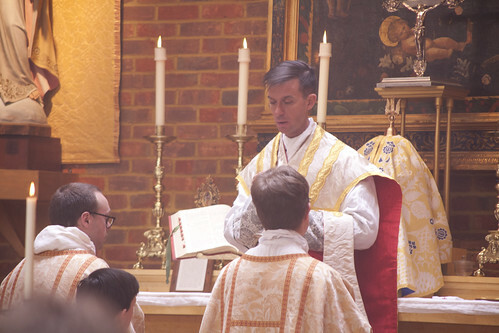 They were joined on Saturday by Br Albert Robertson who was subdeacon at High Mass. As always it was attended by many children - more than ever, in fact. The retreat is structured to make it possible for families to attend to attend together. 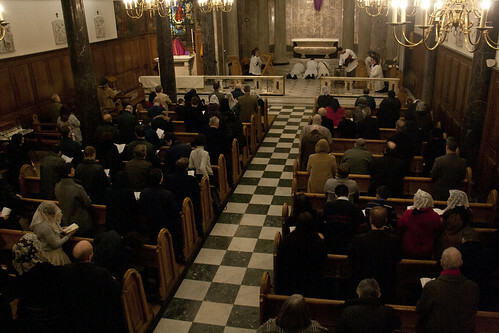 I attended all of the Triduum in St Mary Moorfields, organised by the Latin Mass Society, this year, for the first time.